So you want to become a PADI Divemaster?HIGH FIVE! But what is a Divemaster? Where do you begin? 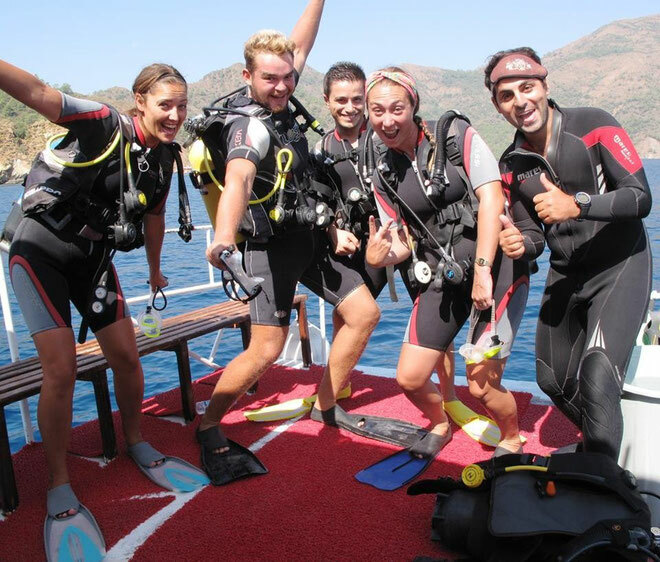 Do you want to get a job as a Divemaster or Scuba Instructor? Become a better diver or just do it for the pure fun? Whatever the reason, you've come to the right place. I'm going to tell you the hows, whats, whens, and everything in between of taking your PADI Divemaster course straight from my own personal experience as a diver and founder of the largest online female dive community www.girlsthatscuba.com. Not only did my Divemaster certification to become a better diver, but to actually work as one and get paid to dive all over the world. 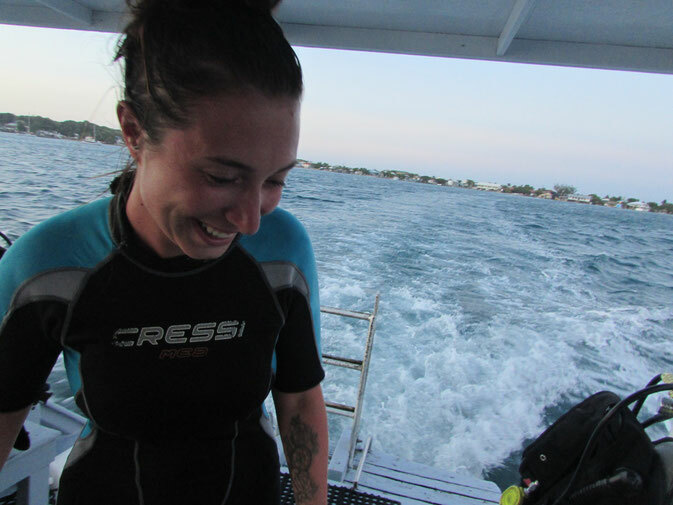 It's all smiles when you are a girl that scuba dives! At least 40 logged dives to begin the course and 60 dives to earn the certification. This completely depends on your schedule. If you only have weekends available you can do it over a few months - a year, or if you have a block of time you can complete it in as short as 4 weeks. I don't believe it should be rushed, and I did mine over 2 months as an internship. So although I was diving every day, 6 days a week, I still took it slow and did it thoroughly. 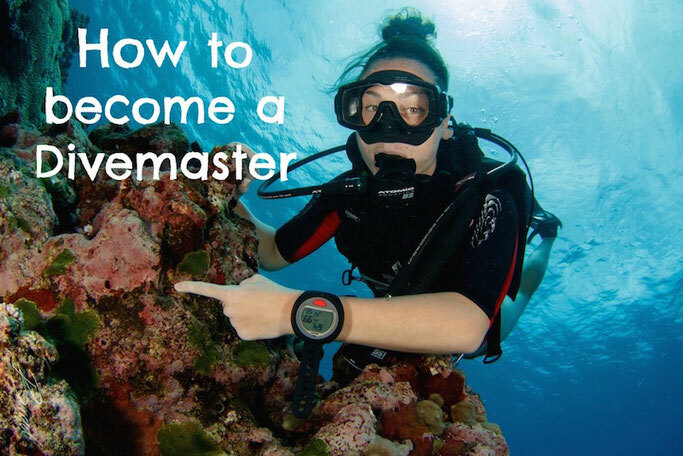 In general, if you are looking for a specific answer a Divemaster course will take on average anywhere between 6 weeks - 6 months to complete. Nothing worth having ever comes easy, and when you have other peoples lives in your hands things have to be taken very seriously. So of course, it is not meant to be easy. There are some things during the course you may find challenging. For example you may find the 800m open water swim hard, the kit exchange or the theory. I struggled with some parts of the exams, mainly the mathematical parts and I also took a while to get the hang of mapping and using a compass. The course is meant to challenge you and help you learn. So, yes, I think it is hard. You need to be completely focused and motivated. If you're worried about it being hard maybe it is not the right course for you. Every dive shop will charge a different amount, so this is a hard question to give you a specific answer. When I did my DM course in Turkey in 2014 I did it as part of an internship, which is cheaper, as effectively you are working while you are completing it. My whole course ended up costing me £1000 GBP inc all fees,books,exams etc, that also included my accommodation for 2 months and use of any equipment I needed (although I had a lot of my own). Bare in mind though I was expected to 'work' during this internship and you have to be available for the duration, aka you can't have a job. If you are looking to do it without the internship you should expect to pay anything from $1500 - $3000 USD. If you see any that you think look really cheap remember they probably do not included the books you are required to buy from PADI and course/exam fees. Make sure you research total fees. Where should I do my Divemaster Course? Take into consideration price, location and time and that will help you choose. The way I chose was I knew I had 3 months before I had to be back in the UK, but I didn't want to be too far away and I didn't have much money to spend on a flight. I chose EDC in Turkey because the flight was £100, it was a few hours from home, and they offered an internship. If you are looking for cheap places in Asia, take a look at Koh Tao island in Thailand, or Gili Islands in Indonesia. Once your program requirements are met and passed all your exams, you are eligible to apply for PADI Divemaster status. 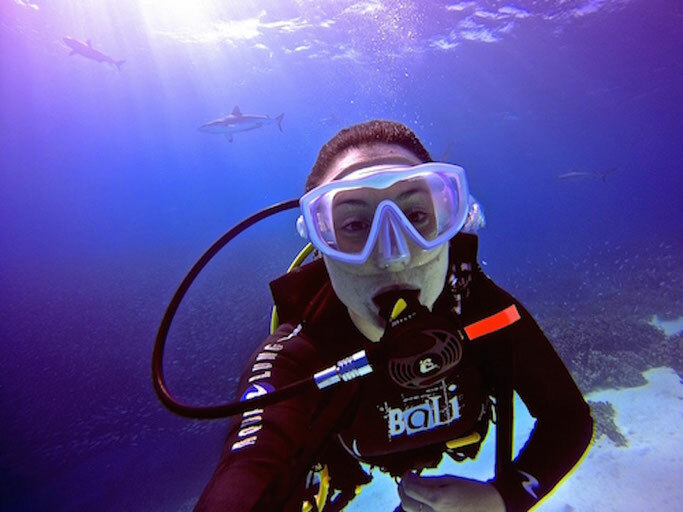 As a PADI Divemaster, you are qualified to assist PADI Instructors with students, lead certified divers on guided dive tours, teach and certify PADI Skin Divers, teach PADI Discover Snorkeling programs, and conduct PADI Scuba Review programs for certified divers all over the world. Or just enjoy being a proficient and more confident diver. Take a look at scuba diving equipment you may need here. 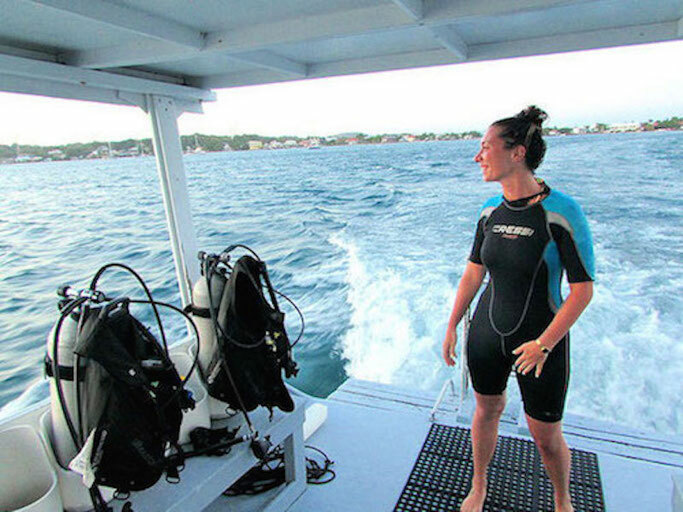 How can you get a job as a Divemaster? You will now have access to PADI Pro website - a part of the site only available for Divemasters and above - here there are hundreds of scuba jobs posted every week. All you have to do is take a look and apply for the ones that take your fancy. Does it actually work? YES. 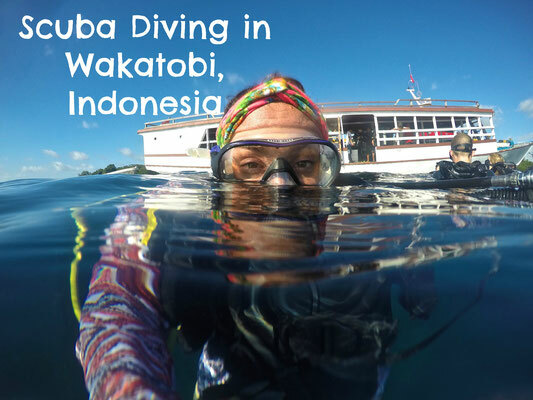 I got my dream job as a Divemaster on a Liveaboard in Micronesia from PADI Pro website. For me, this is the easiest way to get a scuba job. There are other websites and Facebook groups that offer scuba jobs, but I found I got more replies when I applied direct through PADI. How much do you get paid as a DM? Ok, let's get one thing straight, if you're in this for the money, you're in the wrong industry. Nobody becomes a DM to make $$$, you do it for a passion and a way to sustain your diving lifestyle. Some of us just do it on the side and have another stream of income. I used to get $25USD a day, and that's on the higher end of a DM salary. Some are on commission per dive, or even just get free accommodations, food, diving, and course. Can you make good money as a DM? NO. Can you have an amazing lifestyle? YES. It's all about priorities. For me, scuba diving is my biggest passion, the money never came into it. What is it like working as a DM? SO.MUCH.FUN. If you are a dive geek like I am, you will be in your element all day every day. For me, I can't think of anything better than diving as much as possible, meeting like minded people and getting to constantly learn about the ocean. There's no real hours or even 'days off', you dive when there are customers, you dive when there aren't customers, you dive all the time. You hair is always salty, you have awful tan lines, you drink too much beer in the evening and laugh harder than ever before. Yup, being a Divemaster is among one of the best jobs in the world. Want to take it even further? 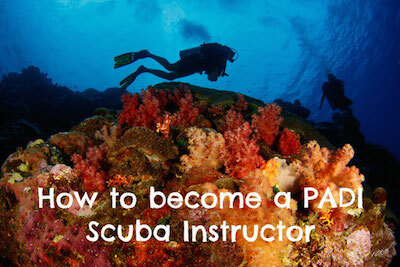 Find out how to become a Scuba Dive Instructor here. So there you have it, everything you need to know about going PRO! Welcome to the best club in the world! Need more help? 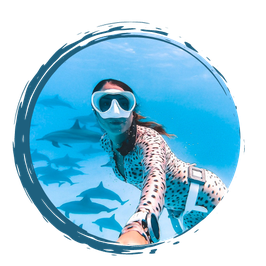 Ping me an email or join my scuba group and check out my new website www.girlsthatscuba.com where thousands of members are waiting to answer all your questions.